Over the past 20 years, few procedures have gained in popularity more than abdominoplasty. Statistics from the American Society of Plastic Surgeons reveal that the annual number has nearly quadrupled since the mid-1990’s1. This increase has been paralleled by improved techniques enabling faster recovery and better outcomes, rise of the ‘mommy makeover,’ and broader awareness. This greater degree of acceptance is accompanied by higher patient expectations and an ever-expanding array of options. 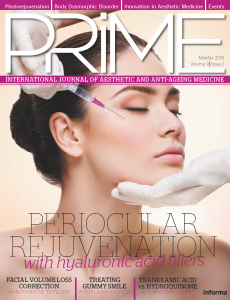 Notable trends include better definition of aesthetic goals, decreasing reliance on drains, a range of variations for scar placement, the Mothers of Multiples (MoMs) makeover, and the use of long-acting local anesthetics. A deterrent to abdominoplasty for many patients is the necessity of a scar, so placement and orientation of the scar-mark trends in how the procedure has been conceived since its origins in the 1960’s. The ability to conceal the scar in swimwear dictates the design of the operation; the transverse scar2 and the low ‘W’ abdominoplasty3 could be concealed by bikini bottoms of that era. In the 1990’s, swimwear and exercise clothing trends shifted to the ‘French cut.’ The high lateral tension approach advanced by Lockwood worked well with this, as it located the lateral part of the scar more obliquely4. The ‘W’ configuration morphed into a ‘U’5, which eventually reverted into a more horizontal alignment following low-rise swimwear and clothing fashions in the millennial era. However, because an overly horizontal scar does not follow relaxed skin tension lines, an upward tilt following a gentle curve is more favorable. Interestingly, fashion trends appear to have moved away from the low rise style, though keeping the scar low centrally remains favored. Concepts of the defining aspects of the aesthetically ideal abdomen were refined as surgeons become more adept at creating specific features. An upper midline groove is desired but the softer lower abdomen can be seen on Botticelli’s Venus from the fifteenth century and today on swimsuit models. Then as now, a subtle but definite groove along the lateral rectus sheath is seen as both athletic and feminine. Other precepts credited to Lockwood include discontinuous undermining, more liberal use of liposuction in the upper abdomen and adjacent areas and balanced tension on the superficial fascia. In the 1990’s, combining Lockwood’s concept of tension on the superficial fascia with the goal of creating these aesthetic features, the author began using an approach using direct excision of sub-Scarpa’s fat and a series of upper midline sutures from Scarpa’s to the rectus fascia. These were int ended to create the midline groove and incrementally advance the flap in order to place the skin closure at a low level centrally with less tension. After inserting the umbilicus, the second series of sutures were placed along the lateral rectus sheath. This technique was reported by Harlan Pollock who coined the term ‘progressive tension sutures’ or PTS6,7. With PTS, the tension at the wound edge is diminished, but the author finds that an additional row of sutures anchoring the superficial to the deep fascia helps align the skin edges for any length mismatch and precisely set the location of the scar. An unexpected advantage of the progressive tension suture method was a reduction in the drain output. Drain management and discomfort is another concern for patients, and earlier removal of the drains was a welcome improvement. The author confirmed this in an early series of 121 patients beginning before the routine use of PTS in 1997, finding most drains could be safely removed in less than 5 days, using the guideline of less than 25 cc’s in the previous 24 hours8. The necessity for a drain longer than 5 days was arbitrarily considered to be a seroma, in addition to any fluid collection requiring aspiration after drain removal. Admittedly, defining a seroma based on the timing of drain removal is debatable, but standard definitions do not take into consideration the patient who requires long-term drainage. At some point, chronic high drain output is a seroma whether a drain is still in place or not. Using this strict definition, the seroma incidence in this early series declined from 33% without PTS to 8%. The use of PTS became the basis for what is widely promoted as the drainless tummy tuck9. It is a compelling idea for patients, but the author uses it selectively. For one reason, even with the use of PTS, the output in the drains is not always negligible. This may be related to the surgical technique, such as aggressive sub-Scarpa’s defatting. However, the author prefers the control and shaping that fascia to fascia surface closure facilitates. In a more recent series of 197 patients from 2010–2015, the average time to drain removal was 4.5 days, with only one longer than 7 days (unpublished data). Preservation of Scarpa’s fascia has been advocated as a means of reducing seroma incidence10,11, but this typically requires conserving the deep fat, which may limit the ability to contour. Lipoabdominoplasty has been shown to be a feasible and safe alternative with PTS and without drains12. Direct deep fat excision avoiding violation of the superficial layer similarly minimizes the risk of vascular compromise13 and may allow for the more extensive use of PTS for defining abdominal contour. As more reports documenting the efficacy of the drainless abdominoplasty are published, and patients request it, the trend appears likely to be sustained and the method more widely adopted. One aspect of low scar placement is that it frequently necessitates a vertical closure of the umbilical aperture in the flap14, an acceptable compromise for a concealable transverse scar. The patient with a high umbilicus is more likely to benefit from the inverted ‘T’. With time, the resultant vertical scar fades. P atients often request a mini-tummy tuck on the assumption that it leaves a more acceptable scar and has a faster recovery. The author offers the mini in fewer than 10% of cases, due to the belief that while they do have a place, patient selection is more important. A variation that extends the range of capabilities with a mini-tummy tuck is the umbilical float, especially when the umbilicus is positioned high15. Detaching the umbilicus from underneath allows access for a complete diastasis repair when indicated. Re-attachment of the umbilicus at a lower location may slightly improve periumbilical skin laxity, but in general, any improvement in skin laxity in the supraumbilical skin is minimal if any. If the purpose is for access to the upper abdomen for diastasis repair only, the umbilicus may be set at its original location. The reverse abdominoplasty, which involves excision of upper abdominal skin with closure along the inframammary fold, is a similarly limited procedure and performed rarely. It may be considered when there are existing scars at the inframammary fold from the previous mastopexy, or in conjunction with breast surgery. The author typically connects the inframammary incisions across the midline with a chevron, though this scar may remain visible. The significant lifting of supraumbilical skin requires more undermining than is safely practical with this approach, a further limitation. The number of multiple order births in the U.S. has been steadily rising over the past three decades, along with increased average maternal age16. These patients may experience a wider diastasis and have a weakened abdominal wall due to greater stretch17. The MoMs makeover addresses this loss of soft tissue support by the addition of a reinforcing mesh such as Galaflex ® (Galatea Surgical, Lexington MA), made of poly-4-hydroxybutyrate (P4HB), a biologically derived slow resorbing polymer. P4HB has been in use for many years in hernia repair under the brand Phasix™. The MoMs Makeover may also include mastopexy with a Galaflex internal bra, where preliminary data suggests enhanced long-term maintenance of upper pole fullness18. As the mesh resorbs over 12–18 months, it is believed that it is replaced by durable host tissue. Fears about postoperative pain are a daunting concern for patients. 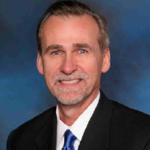 The advent of elastomeric pumps infusing lidocaine or bupivacaine via an indwelling catheter provided a model for the improved patient experience by lowering pain scores and reducing the need for opioid medications19. A similar experience was subsequently reported with liposomal bupivacaine (Exparel®, Pacira Pharmaceuticals, Parsippany-Troy Hills, NJ) following its introduction in 201120,21. 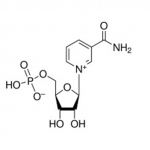 Liposome bupivacaine can be placed strategically by tissue infiltration targeting specific sensory nerves and avoids the need for an indwelling catheter. The transversus abdominis plane (TAP) block is a logical extension of this idea22. Using ultrasound guidance, diluted Exparel is placed using a blunt 10 cm needle into the plane between the transversus abdominis and the internal oblique muscles posterior to the anterior axillary line. The block covers approximately the T7–T11 dermatomes and lasts 48–72 hours. When combined with infiltration along the upper lateral rectus sheath, the author’s data show further reduction in pain scores and opioid use. Shorter interval to drain removal increased adoption of the TAP block, and a better appreciation of aesthetic goals combine to yield better outcomes, easier recovery, and a better experience for abdominoplasty patients. 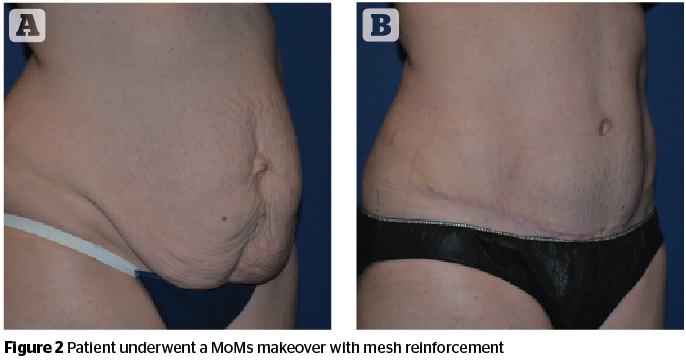 Abdominal wall reinforcement with resorbable mesh where indicated, and selection of the optimal scar configuration may yield optimal long-term results. Baroudi R, Keppke EM, Netto FT. Abdominoplasty. Plast Reconstr Surg. 1974 Aug;54(2):161-8. Regnault P. Abdominoplasty by the W technique. Plast Reconstr Surg. 1975 Mar;55(3):265-74. 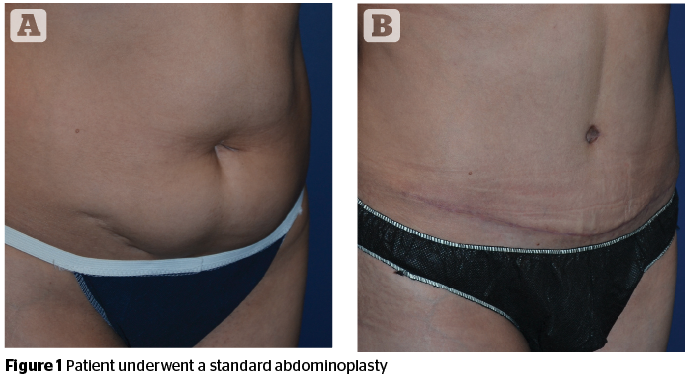 Lockwood T. High-lateral-tension abdominoplasty with superficial fascial system suspension. Plast Reconstr Surg. 1995 Sep;96(3):603-15. Ramirez OM. Abdominoplasty and abdominal wall rehabilitation: a comprehensive approach. Plast Reconstr Surg. 2000 Jan;105(1):425-35. Pollock H, Pollock T. Progressive tension sutures: a technique to reduce local complications in abdominoplasty. Plast Reconstr Surg. 2000 Jun;105(7):2583-6. Pollock T1, Pollock H. Progressive tension sutures in abdominoplasty. Clin Plast Surg. 2004 Oct;31(4):583-9, vi. Baxter RA. Controlled results with abdominoplasty. Aesthetic Plast Surg. 2001 Sep-Oct;25(5):357-64. Macias LH, Kwon E, Gould DJ, Spring MA, Stevens WG. Decrease in Seroma Rate After Adopting Progressive Tension Sutures Without Drains: A Single Surgery Center Experience of 451 Abdominoplasties Over 7 Years. Aesthet Surg J. 2016 Oct;36(9):1029-35. Costa-Ferreira A1, Marco R, Vásconez L, Amarante J. Abdominoplasty With Scarpa Fascia Preservation. Ann Plast Surg. 2016 Jun;76 Suppl 4:S264-74. Xiao X1, Ye L2. Efficacy and Safety of Scarpa Fascia Preservation During Abdominoplasty: A Systematic Review and Meta-analysis Aesthetic Plast Surg. 2017 Jun;41(3):585-590. Epstein S, Epstein MA, Gutowski KA. Lipoabdominoplasty without drains or progressive tension sutures: an analysis of 100 consecutive patients. Aesthet Surg J. 2015 May;35(4):434-40. Nunes da Costa J1, Matias J.Analysis of Extended Deep Fat Pad Excision in Abdominoplasty. Ann Plast Surg. 2017 Jan;78(1):12-16. Patronella CK. Redefining abdominal anatomy: 10 key elements for restoring form in abdominoplasty. Aesthet Surg J. 2015 Nov;35(8):972-86. Colwell AS1, Kpodzo D, Gallico GG 3rd. Low scar abdominoplasty with inferior positioning of the umbilicus. Ann Plast Surg. 2010 May;64(5):639-44. National Vital Statistics Report. https://www.cdc.gov/nchs/data/nvsr/nvsr64/nvsr64_12.pdf Accessed June 15, 2017. Domergue S1, Tiguemounine J, Desouches C, Marchadier A, Magalon G. [Abdominoplasty after twin pregnancy: study of 30 cases]. [Article in French] Ann Chir Plast Esthet. 2006 Dec;51(6):525-30. Adams WP Jr, Toriumi DM, Van Natta BW. Clinical Use of GalaFLEX in Facial and Breast Cosmetic Plastic Surgery. Aesthet Surg J. 2016 Nov;36(suppl 2):S23-S32. Chavez-Abraham V1, Barr JS, Zwiebel PC. The efficacy of a lidocaine-infused pain pump for postoperative analgesia following elective augmentation mammaplasty or abdominoplasty. Aesthetic Plast Surg. 2011 Aug;35(4):463-9. Epub 2010 Dec 7. Morales R Jr, Mentz H 3rd, Newall G, Patronella C, Masters O 3rd. Use of abdominal field block injections with liposomal bupivicaine to control postoperative pain after abdominoplasty. Aesthet Surg J. 2013 Nov 1;33(8):1148-53.Epub 2013 Nov 8. Eberle N, Newman M. Patient perception of postoperative pain after administration of liposomal bupivacaine in plastic surgery. Ann Plast Surg. 2015 Jun;74 Suppl 4:S198-200. Fiala T. Tranversus abdominis plane block during abdominoplasty to improve postoperative patient comfort. Aesthet Surg J. 2015 Jan;35(1):72-80.